The ESL-63 was not without flaw. 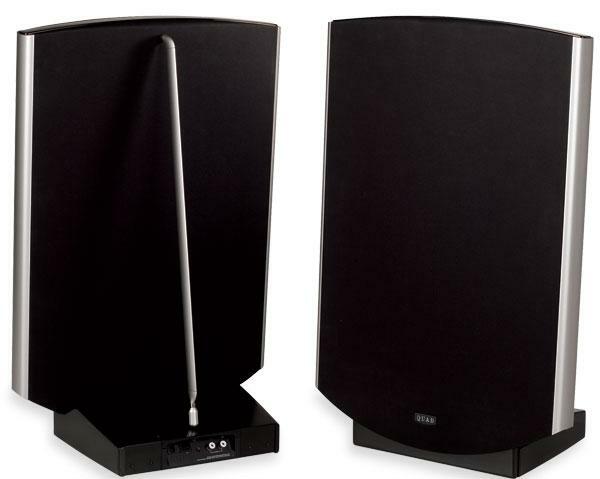 In particular, its frame lacked torsional rigidity, and the speaker tended to go into protection and shut down at a relatively low sound-pressure level. As, when this happened, the speaker short-circuited the amplifier's output, the ESL-63 got too many report cards marked "does not play well with others." And while Peter Walker had designed the speaker to be placed above the floor (remember those kitchen chairs), the final product sat on the ground. A number of companies produced aftermarket accessories intended to address those failings; my favorite was the Arcici stand, which clamped the ESL-63 in a firm embrace, and raised it to the optimal height from the floor. Long retired, Peter Walker passed away in 2003, aged 87)but long before then, the company he'd founded in 1936 had financially foundered. 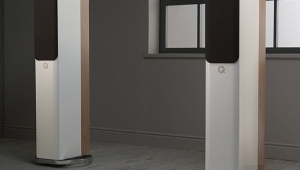 Quad Electroacoustics was acquired in 1995 by the Verity Group, and in 1997 by the China-based IAG Group, which also owns the Audiolab, Castle Acoustics, Luxman, Mission, and Wharfedale brands. In 2000, under IAG's ownership, Quad released the ESL-988, which featured increased power handling and output level compared with the ESL-63, as well as more sophisticated overload protection and greater structural rigidity. 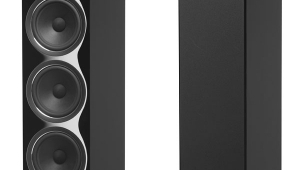 The ESL-989, from the same year, added bass panels above and below the ESL-63derived midsection, to increase the LF extension. 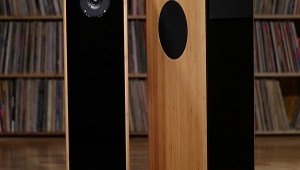 The '989 was reviewed very positively for Stereophile by Larry Greenhill in November 2002, and Art Dudley and I wrote enthusiastic Follow-Up reviews in May 2003 (all three reports can be found here). 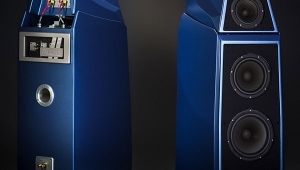 Which brings us to the subject of this review, the Quad ESL-2805 ($10,000/pair), which in 2006 replaced the '988. 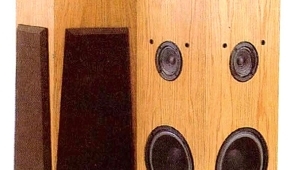 Sam Tellig wrote about the '2805 in his July 2006 "Sam's Space" column, and the speaker was subsequently voted one of Stereophile's Joint Loudspeakers of 2006. Given how impressed I'd been by the ESL-989, I put a full review of the '2805 on my to-do list. But, as is often the way with to-do lists, it was another five years before the speakers took up residence in my listening room. Fundamentally, the Reference ESL-2805 comprises a slightly conductive, very-low-mass (0.5gm), electrically charged, tensioned Mylar membrane held between two stationary electrodes (stators). When the audio signal is applied to the stators via a step-up transformer, the membrane vibrates, driven evenly across its entire surface. 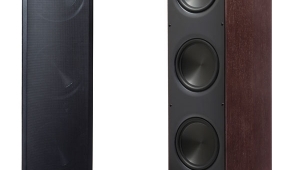 Like the ESL-63, the ESL-2805 differs from conventional electrostatic speakers in not driving the membrane as a whole, but modifying its behavior depending on how far each part of the membrane is from its center. The best illustration of the ESL-63's operating principle that I experienced was given by Peter Walker at a London AES meeting 30 years ago (footnote 1): As he spoke, Peter held a frame of plastic film about a foot in front of his voice. To paraphrase his explanation, what you need for perfect reproduction of a sound source behind the center of that plastic film is for each element of the film to radiate to its front what it would have received from behind. If you imagine the film divided into thin concentric rings, with the signals fed to the individual rings successively delayed the farther each ring is from the center, this would have the effect of making the film behave as if there were a perfect point source behind it. Instead of the usual planar wavefront emerging from the flat film, there would be a time-coherent spherical wavefront. To achieve this goal, the ESL-63 used a vertical printed circuit board, the center of which was split into seven concentric rings (the four largest rings were truncated at top and bottom). Two additional rectangular boards, one each at the top and bottom of the central panel, continued the concept. 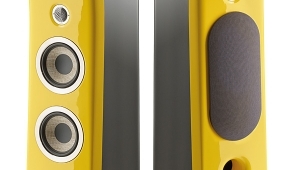 Each ring was fed by an inductive/capacitive delay line, which allowed the flat diaphragm in front of this panel to radiate the sound first from the center and finally from the periphery, just as if a point source were positioned 400mm (just under 16") behind the center of the membrane. The same principle is used in the ESL-2805, with several improvements. 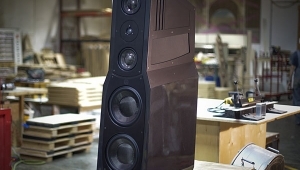 The most noticeable is the support rod that extends from the back of the base to the top of the frame, to be tensioned with a turnbuckle when the speaker has been unpacked. 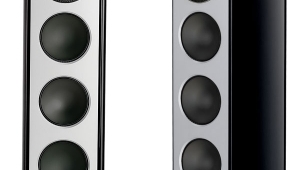 The electrostatic panel is held in an aluminum frame, sandwiched between a perforated steel plate and the segmented board, with front and rear dustcovers, and mounted on the steel base that houses the electronics. The frame is finished on top with piano-lacquered trim, and its sides are reinforced with veneered, lacquered, and steel-braced strips. Screw-in flat-bottomed feet and cones are included; a heavy steel bar, held in place by flanges that slip between the rear feet or cones and the base of the electronics enclosure, provides a stabilizing mass. Footnote 1: See Walker, Peter J., "New Developments in Electrostatic Loudspeakers," Journal of the Audio Engineering Society, November 1980, Vol.28 No.11, pp.795799; available from www.aes.org. 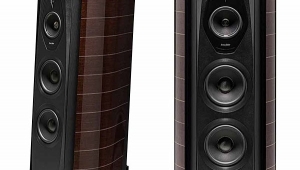 Your review was an absolute pleasure to read - a lot of interesting details and insight into what has made this speaker so special for so many years. Thanks! 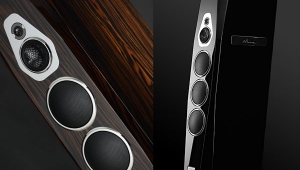 I recently read a post online that Quad introduced new speakers, the 2812 & 2912, at the last show in Munich. 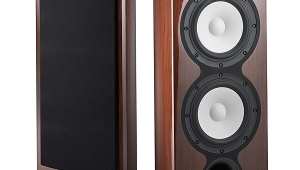 Would you know if the 2805's will be discontinued? The US importer, Taiga LLC has closed shop. At this time, Liberty Trading, run by May Audios' Canadian counter-part is the sole NA importer. Also, prices have increased. This may be a moot point since no one seems to be paying attention to these speakers these days. 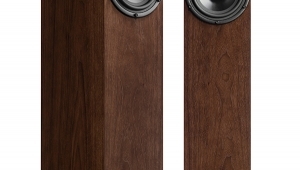 I have had quality problems with the Quad 2805 speakers made in China. I had to return the speakers to the manufacturer three times and the problem is still not resolved, and they want to charge me for repair. I find it incredible that the manufacturer would not take back a clearly defective product.